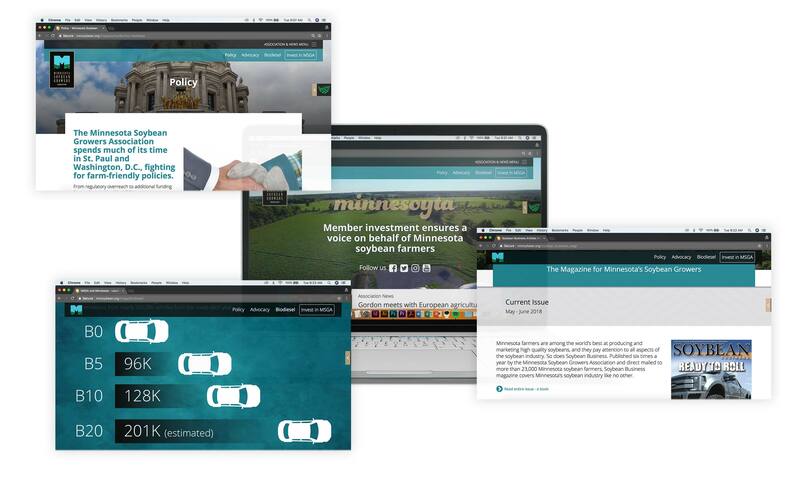 Minnesota Soybean Association - Ecra, Inc.
Ecra provided UX design and built the website using WordPress. Key features of the website include a custom built theme to feature news, association publications, social activity, research and events. 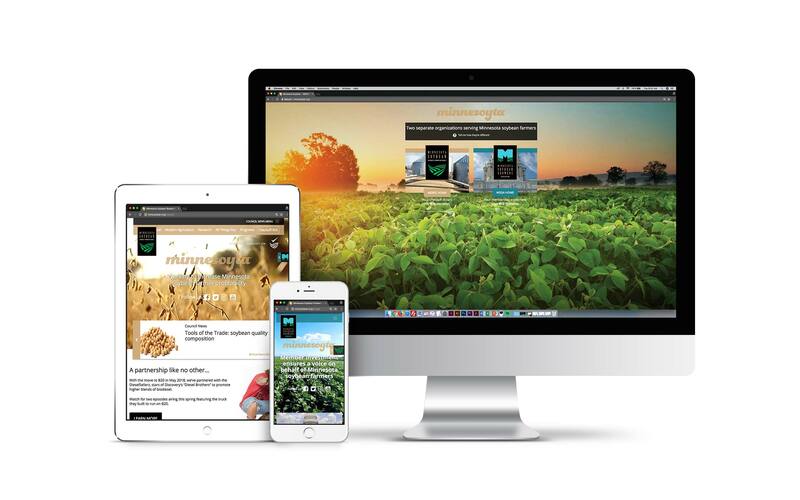 The Minnesota Soybean Growers were looking for a new website design to better serve the needs of both sides of the organization – the Association and the Council. To accomplish these goals, Ecra was asked to provide an improved user experience – to make it easier for users to navigate the website and find the information and news they were looking for. 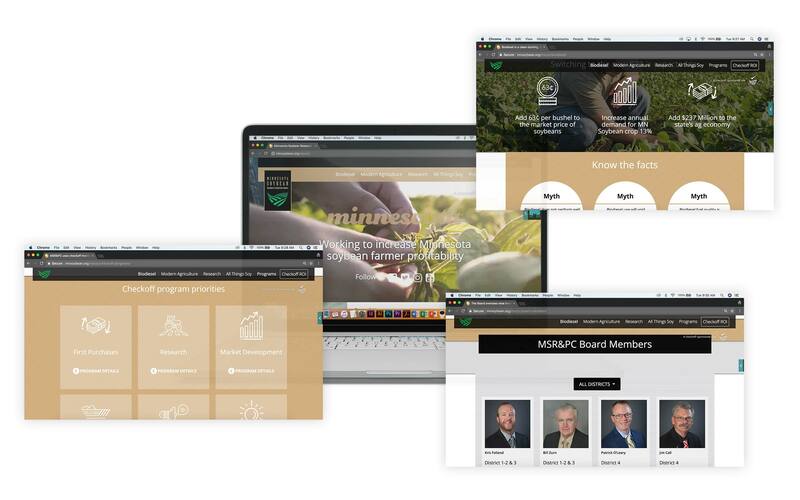 Other goals of the site include membership recruiting, farmer resources, education and an online store. Looking to improve your identity? Get in touch with Ecra to discuss your next project and how we can help. Using stock images vs. investing in custom photography when building your B2B brand. I’ve heard a lot about MVP website development recently – is this right for my next web project? Why does my “nice” logo seem to look terrible depending on where it is used in digital media?